Why Do More People Choose Sentry Alarms? Benefit from experience, performance and professional customer service. Allow us the opportunity to exceed your expectations. Our operators are committed to putting you first. From the moment a signal is received, to the moment it is fully resolved, our caring and dedicated monitoring staff will have your back. Sentry Alarms has been providing security and monitoring services since 1977. It is what we do and we do it well and with pride. Our loyal customer base is a testament to the quality of our products and services and our steadfast committment to client satisfaction. 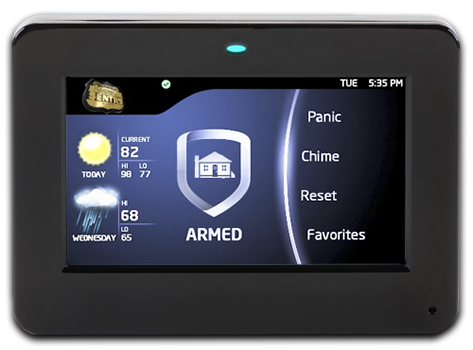 Sentry Alarms is committed to providing its customers with products and services that keep pace with changing technology and customer needs. From providing our residential customers with smart home solutions, to briining biometrics and integrated systems to our commercial clients, our knowledge and ability evolves with changing technology. What Are Sentry Alarms Customers Saying? The carmera system works great! I had to view some activity the other day and I had no problem getting to what I needed to look at. Jeff was a big help with the whole process and leads a good crew. Everyone at Sentry Alarms is extremely professional--they're an easy company to work with and they offer excellent products and service. We have come to appreciate the prompt professional attention paid to us in every aspect of our dealings. From competent and insightful planning, air-tight executions of installations, adding and removing users quickly to related service long after the deal has been closed, it's a pleasure to have such a well-oiled machine with Sentry, serving as a collaborative business partner. My burden is lighter and our business is better for working with Sentry. Johsua Silver, Wilson Dental South Central New York and growing! Sentry Alarms was terrific at navigating the code requirements at our new office. They interfaced with the town on our behalf. From sales through installation and monitoring, Sentry met or exceeded our expectations. Trust our years of experience in keeping area homes and businesses safe and secure by scheduling a free on-site security survey, or speak with a Sentry security expert.